Crawl spaces are an essential part of your home as they can house everything from plumbing and drain pipes to electrical wiring and ductwork systems inside your house. However, the trouble with crawl spaces is that over time they may accumulate moisture, mildew, and heat, resulting in an array of problems for your home. 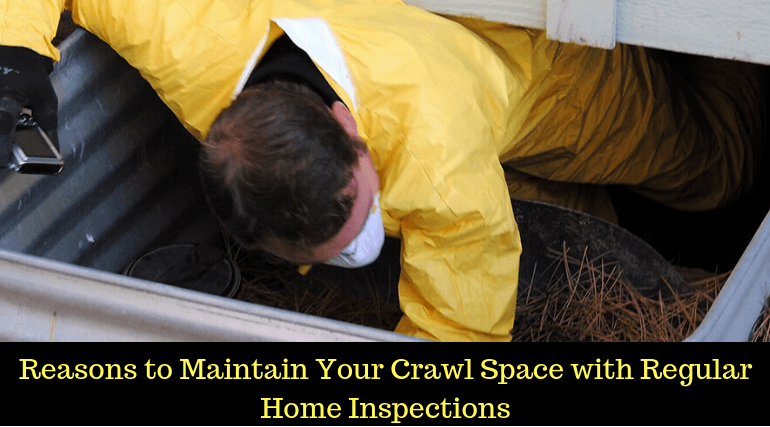 Through regular home maintenance inspections, you can maintain your crawl space for life. Read on to learn why you should maintain your crawl space with regular home inspections. For most homeowners, crawlspaces are out of sight, so they are out of mind. Nevertheless, a crawl space inspection is a useful means to find whether your home is safe or not. A proper crawl space inspection will also help you spot potential health hazards in your house in advance. Professional home inspectors are knowledgeable and well-equipped to identify problems that wouldn’t be possible for you to see otherwise. They will also outline problems that can become huge down the line. This way you can recognize and resolve problems before they become costly. Many real estate agents suggest that their clients get a home inspection before listing to help them estimate the exact selling price after considering potential repair costs. Sellers will be aware of any issues in advance and can offer a potential buyer the latest home maintenance inspection report. If a crawl space inspection concludes significant repair costs, buyers can ask sellers to either renegotiate the selling price or tell them to complete the repairs before the deal is done. Crawl space inspections shouldn’t only be considered by home buyers and sellers but should be a part of all homeowner's maintenance plan. This is especially true because many of your home’s problems can start in your crawl space. It should be inspected as frequently and as carefully as your roof, attic, or gutters. When did you last have a crawl space inspection? Contact us today to schedule a home maintenance inspection with our home inspector and get your peace of mind!